Every day we are blessed to wake up. Every day we are presented with never-ending options. There is always a new opportunity in the land of the free. America is great not because of the place it is located in but because of the people that live in it. The land of endless possibilities can only exist because we, Americans, are willing to work and able to dream. We see the bigger picture and accept each color, shape, and size. This is the place where poor can become rich and weak become strong. And, yes, the ordinary folk can become the President! Just because we are the United States. 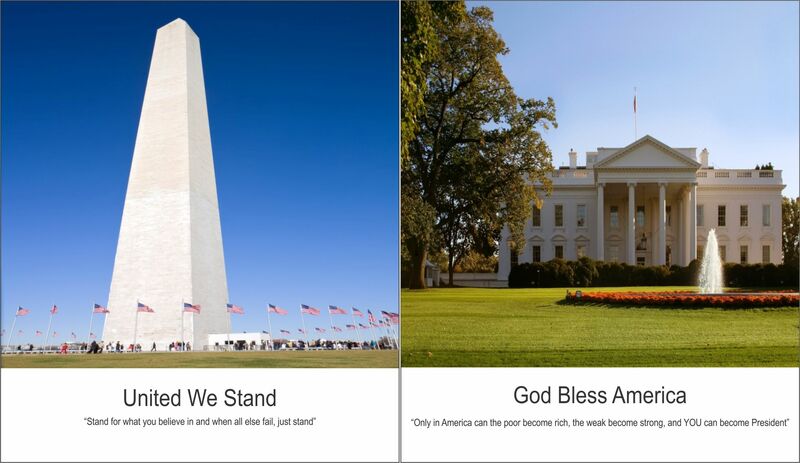 So, grab this set of patriotic posters and be proud of your country! You are in the right place at the right time! For the best result, print your items on higher-quality paper.